Filippo just discovered linear perspective. 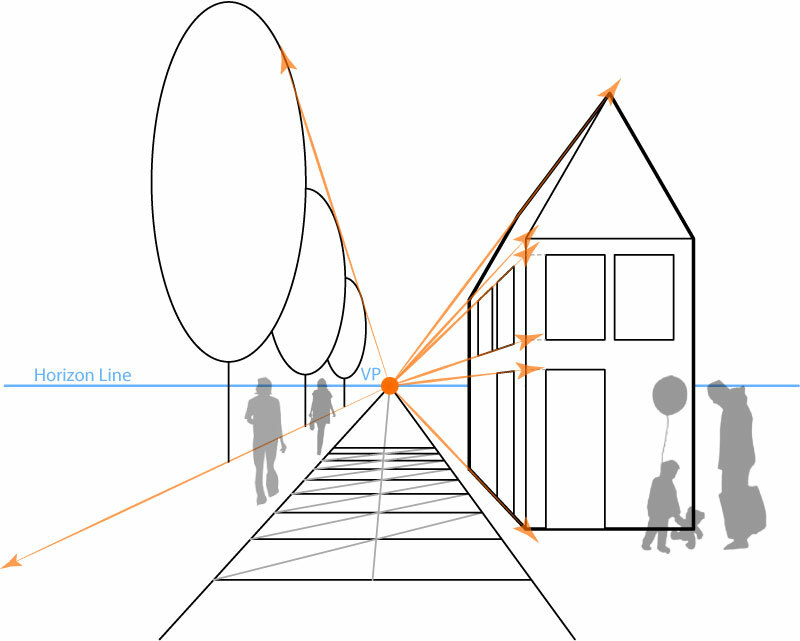 Linear perspective is a form of geometry that permits the precise (measurable) construction of three dimensional objects on to a two dimensional surface. 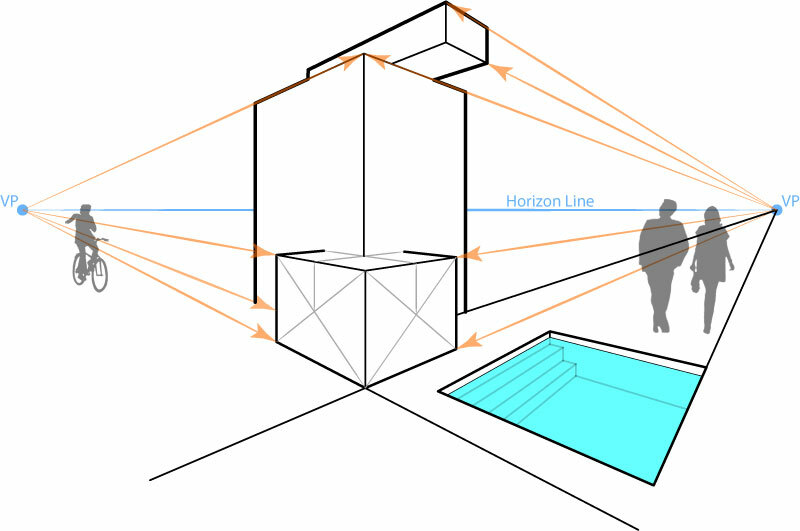 Its primary components include the Horizon Line (we’ll look at this more soon) and at least one Vanishing Point. The Vanishing Point sits on the Horizon Line and all parallel lines converge to the same Vanishing Point. We know we are looking at a One Point Perspective if the face of the object is closest to and parallel to our plane of view or working surface. 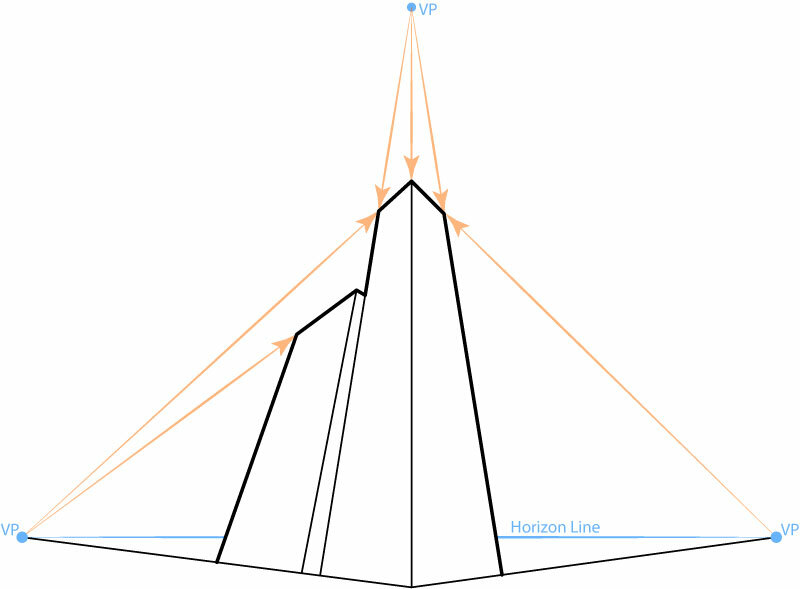 The lines perpendicular to the picture plane will converge on the single vanishing point. A common error of ignorance is to maintain that what one does not know does not exist.